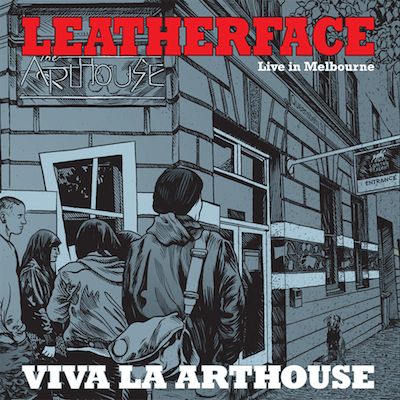 Viva La Arthouse is Leatherface’s second release on their own label and is a celebration of their 2010 Stormy Petrel World Tour that took in Europe, Canada, America, Japan and Australia. This double live album was recorded at Melbourne’s famous music venue The Arthouse. Leatherface (currently taking Australia by storm) and Big Ugly Fish Recordings are please to announce the dates for the Japan leg of The Stormy Petrel World Tour. Open 18:00 / Start 19:00. Adv: ¥ 3,000 / Door ¥ 3,500. Available from 24th July. Open 18:00 / Start 19:00. Adv: ¥ 3,000 / Door ¥ 3,500. Available from 1st August. Open 17:30 / Start 18:00. Adv: ¥ 2,500 / Door ¥ 3,000. Available from 17th July. Open 18:00 / Start 18:30. Adv: ¥ 2,500 / Door ¥ 3,000. Available Late July. We’ve found the last copies of ‘Deep, Deep, Sleep’ – Leatherface, with a track by Ninja Gun – ‘Eight Miles High’ in yellow vinyl at the bottom of the merchandise bag from the last Leatherface tour, so purchase your copy now because once they are gone you may have to sell an internal organ to get your hands on one through the auction web sites.